West Ham held Europa-League chasing Everton to a dull goalless Premier League draw at the London Stadium. In a game of half-chances, Manuel Lanzini's goalbound second-half effort was the closest any of the two sides came to finding a goal. With the share of the spoils, the point takes Everton above Arsenal into sixth-place but the Gunners have three games in-hand over their Merseyside rivals. Meanwhile, West Ham edged closer to safety as they remain in 13th place, seven off the drop zone. 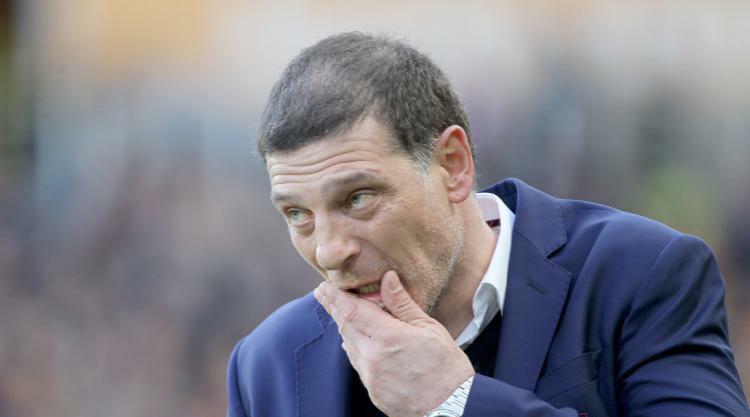 West Ham made four changes to the side that drew at Sunderland with Adrian, Winston Reid, Havard Nordtveit and Jonathan Calleri - who made his first Premier League start for the club - coming in for Darren Randolph, suspended Sam Byram, injured Andy Carroll and Robert Snodgrass. Meanwhile Everton, Maarten Stekelenburg replaced Jose Robles in goal. A clumsy miskick from Adrian, making his first Premier League start since November, almost gifted Everton the lead after failing to clear the ball under the challenge of Kevin Mirallas. The Spaniard would, however, recover to retrieve the ball. In a scrappy opening, the first shot on target came after 28 minutes as Nordveit's long-range effort was comfortably gathered by Stekelenburg. Cheikhou Kouyate was the next West Ham player to try his luck from distance but his strike sailed wide of the post. With Slaven Bilic's side set up in a 5-3-2 formation, Everton struggled to find their attacking rhythm with the home side's defence paying close attention to leading Premier League marksman Romelu Lukaku, who went into the game with an impressive record of scoring in nine consecutive games against the Hammers. Having been run ragged by Lanzini for much of the first-half, Tom Davies and Idrissa Gueye were replaced by Ademola Lookman and Gareth Barry for the second half. But West Ham continued their momentum and Lanzini was in the thick of the action again. Andre Ayew found Edimilson Fernandes in acres of space on the right flank before the Swiss midfielder scuffed his shot. The ball then fell to Lanzini but defender Phil Jagielka came to the rescue to throw himself at the shot and block with his head. Lukaku's first real sight at West Ham's defence summed his performance. The Belgian shimmied past Collins to cut in on his favoured left foot but dwindled on the ball too long as Jose Fonte was there to dispossess the forward. Lookman, who had looked bright since coming off the bench, produced Everton's first real chances of the game after 71 minutes. The 19-year-old had two bites at the cherry as his shot was dragged wide of Adrian's post. Moments later, the former Charlton academy graduate created an opening on the left-hand side before his effort sailed just over the bar. Another half-chance went begging for Ronald Koeman's side late on as substitute Dominic Calvert-Lewin also produced the perfect cross for Lukaku but it sailed over the head of the Belgian. A last throw of the dice from West Ham in the final 10 minutes saw a corner find Fonte at the back post but his header was saved by Stekelenburg.